What's the Gospel All About? The gospel - the good news or heart of the Christian message - is an announcement that God, who is the generous, good, and loving Creator of all things, has come among us in the person of Jesus of Nazareth to inaugurate or launch God's Kingdom, reveal God's Way, teach God's Truth, and offer God's Life for the liberation of the human family and the healing of all creation. The technical word for this belief is Incarnation – God taking on flesh, living as a human being in this world and sharing our life that we might share God's Life. The Gospel is an Act of God. As a Christian community, we believe the gospel is also an invitation. God calls us to personally embrace Jesus as Lord (the highest authority in our life) and Savior (the one in whom and through whom our lives are made whole). Christians are people who are following Jesus - seeking to bring our lives individually and collectively into conformity with the Way of Jesus Christ. Repentance and Faith describe the process of becoming a Christian or follower of Jesus. Repentance means to change one’s mind, turn around, and move in a new direction. Repentance marks the decision to no longer construct life without regard to Jesus Christ or pursue living on our own terms. Faith refers to the trust/confidence placed in Jesus Christ for salvation and to our allegiance to Jesus Christ as disciples. Jesus is our salvation and faith unites us to the One who is the source of our healing and in whom we experience liberation. This union with Jesus Christ and his life is vividly demonstrated and enacted through the practices of baptism and the celebration of the Lord’s Supper. The Gospel is an invitation from God. 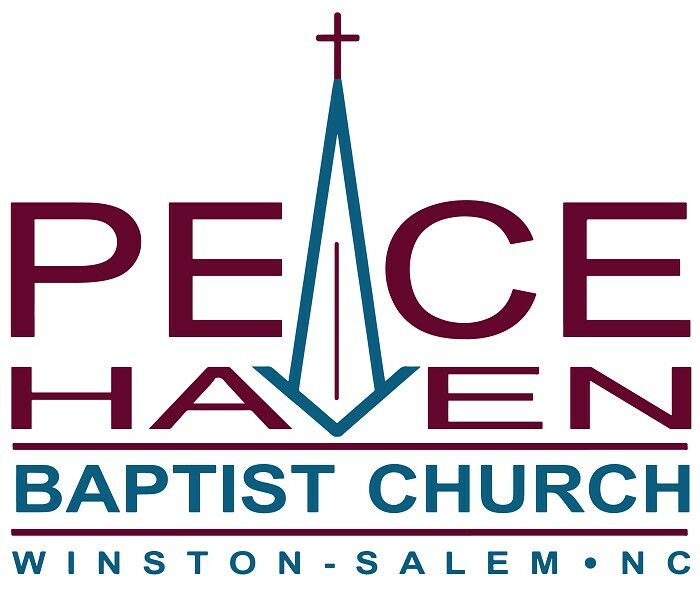 Jesus is the heart of our faith community and our mission at Peace Haven Baptist Church of Winston-Salem is to be an inclusive fellowship offering a place to worship, to grow, to serve, and to experience the unconditional love of God. Our conviction is that the crucified Jesus of Nazareth has been raised from the dead, now lives as both Lord and Christ, invites us to be united with him through faith, and to join him in the ongoing process of embodying and extending the way of God. All are welcome at Peace Haven Baptist Church of Winston-Salem and we encourage you to join us in the adventure of knowing and following Jesus.